Mind-set is everything. It determines our character, the paths we choose, and the results we get in life. Adopting the components below, resources throughout this book, and your own great individualism, you’ll always ensure an indestructible mind-set fit for maximum success, whatever challenges life may bring. An incredible example of this and some of the key components discussed in this chapter is, Tommy Wiseau; producer, director, star and financier of the 2003 film ‘The Room’. A film described by many as the worst movie ever. However Tommy was so set on being a famous actor, despite everything, his sheer mind-set and belief system ensured success with being “The Greatest Bad Movie Ever”, making a truly fabulous story now widely known and depicted in the 2007 film ‘The Disaster Artist’. Tommy knew want he wanted, and he got it! After reading this chapter, you can check out an interview with Seth Rogen on the U.S show ‘Late Night with Seth Meyers’ talking about ‘The Disaster Artist’, which he starred in. He describes Tommy’s character, which will reinforce exactly why the points you read in this chapter, seriously make all the difference! If you know that you are in control of your own mind, you’ll also know that you are equally in control of the results you get. Although people may often try to control how we think, ultimately, we are always in control of this by what we choose to accept, think and act upon. An important question here is, if you’re not in control of your own mind, who is? If we take personal responsibility for everything we do, we will always be empowered to change things to how we want them. But if we look for external reasons as to why we haven’t got the results we want, we immediately lose any power to take control and positively change things. Remember: Reasons equate to being a victim, whereas self-responsibility equates to change and results. Whilst there are always seemingly external factors beyond our control, we can always take charge of our own mind and control and we think and what we do, which incidentally will also bring the external under control in-line with our core deep-seated beliefs (see below). Reading this book is great proof that you can take control to make positive changes in your life - internally and externally. Keep going and it will come! When talking about maintaining a ‘state of excellence’, I’m referring to controlling what’s going on inside in order to control the way we externally look, behave, and respond, thus the results we ultimately get. This also includes the message we give off to others around us. If we stay conscious about positively maintaining our inner thought process to maintain an inner resourceful state, despite being tired, stressed, or whatever else we are dealing with, we will always be able to manage things better and get the best results possible. The most successful people in the world - be they presidents, emergency service personnel, or Olympic medallists - maintain a ‘state of excellence’, psychologically and therefore physically, which allows them to achieve distinction in what they do. Take Lizzi Yarnold, the British Gold Medalist in the 2018 Winter Olympics Skeleton event, as a great example. Just before her race she was suffering from a bad chest infection - struggling to breathe and partake in practise runs, with it looking unlikely she could race. However, with great courage and motivation she took the decision to go out and give it her all anyway. It just so happens she won Gold. We can all change as much as we want to change - when we do, we’ll also notice the world around us simultaneously changing, too. Without change, we can’t expect to get different results. Positive change is fundamental to life and moving forward. Scientist Albert Einstein summed this up perfectly. ‘The definition of insanity is doing the same thing repeatedly and expecting different results’. On which note, you’ll know when it’s time to act and positively change things for the best results. Change is one of the greatest fears people deep down have that holds them back. 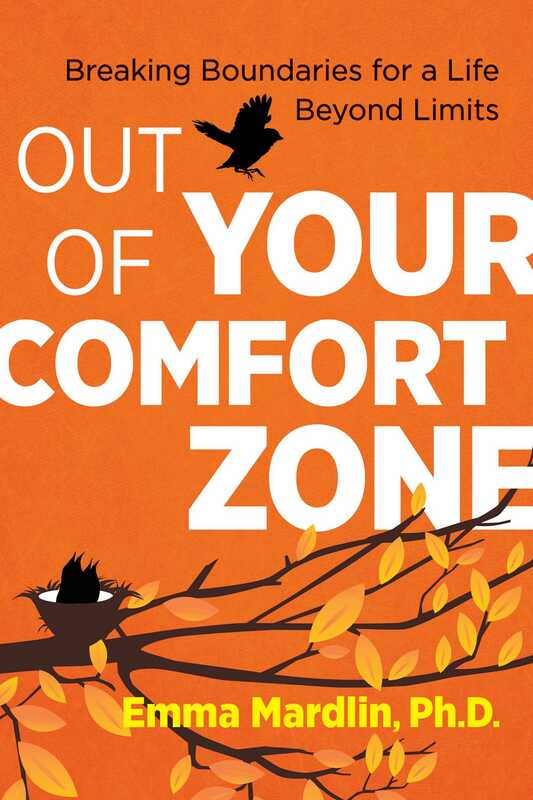 It’s not always comfortable and it often involves uncertainty (Certainty being a psychological human need), hence we can easily feel out of our comfort zone when it comes to change. However it is what pushes us forward. If we change, everything around us changes too, including the results we get. And in any case, if something doesn’t produce the results we like, we can often change it again until we ultimately get what we want. Take a few minutes after we wake up to really think about what we want from the day ahead (our outcome for the day rather than just the same old or moseying on). What has to happen for us to achieve this? What can we do today to take steps towards achieving our ultimate goal? When thinking about these questions, get into a relaxed and focused state (as suggested in chapter 3). Accompany this by taking in some deep breaths through the nose and out through the mouth, energizing your mind and body for the day ahead. Strongly visualize these things and even say them aloud: What is going to happen today? What do I have to do to put this into action? Then believe it and take action. For more details on working effectively with Goals and Outcomes see Chapter Seven, driving direction.